It was one of those moments when the entire audience was enraptured. 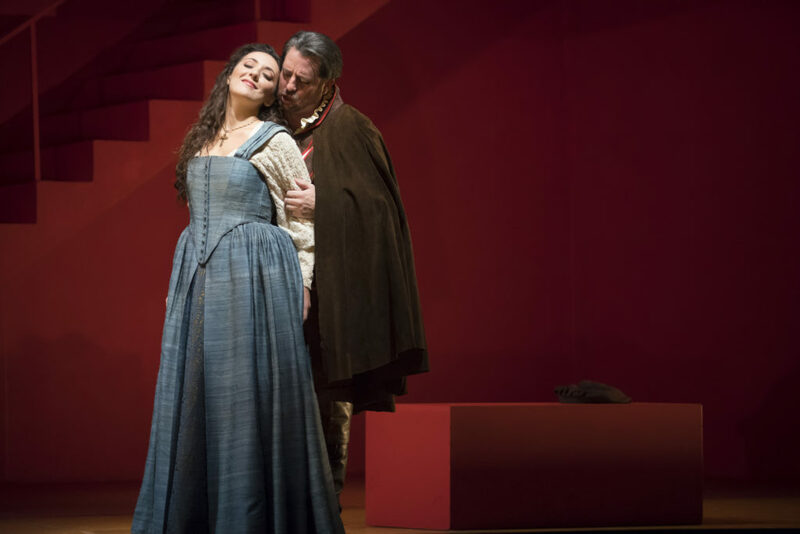 It was during Rosa Feola’s “Caro nome” in Lyric Opera of Chicago’s latest production of Verdi’s Rigoletto. I had the good fortune of being in the audience on opening night. 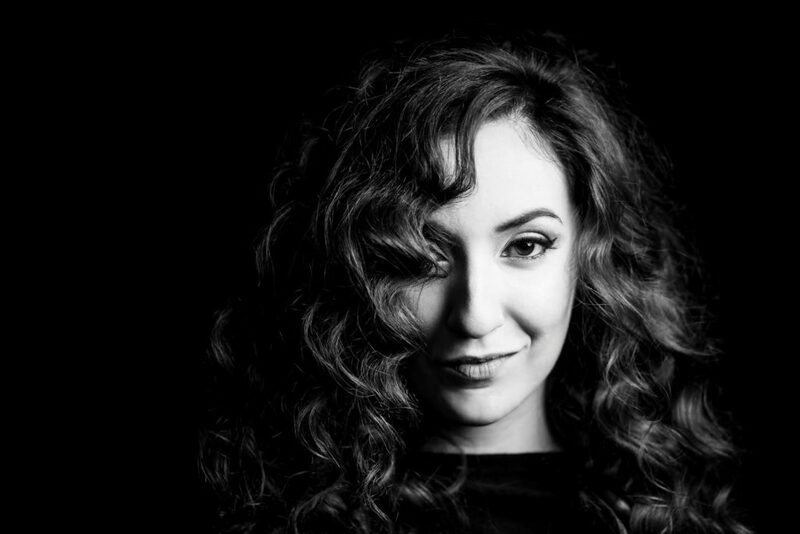 As I basked in her sounds, I decided right then and there to interview Rosa Feola. Fortunately, she was willing to take the time to sit down with Opera Sense and answer a few of my questions! Chicago welcomed me with such an enthusiasm that I was suddenly in love with the people and the city! I just saw you perform as Gilda at the opening of Rigoletto at Lyric Opera of Chicago. I was blown away. Your “Caro nome” was completely your own. Has your interpretation of Gilda, a role you’ve performed many times, changed over time? How has your understanding of the character informed your performance of this popular aria? In Chicago, right now, I discovered a new beauty of the aria. To be honest, I didn’t like the famous cadenza so much, but I decided to do it because the audience always loves it. Day by day, I joined the effects that the music gave to my character and I found myself enjoying the lines of love, passion and freedom. I lost the restraint. 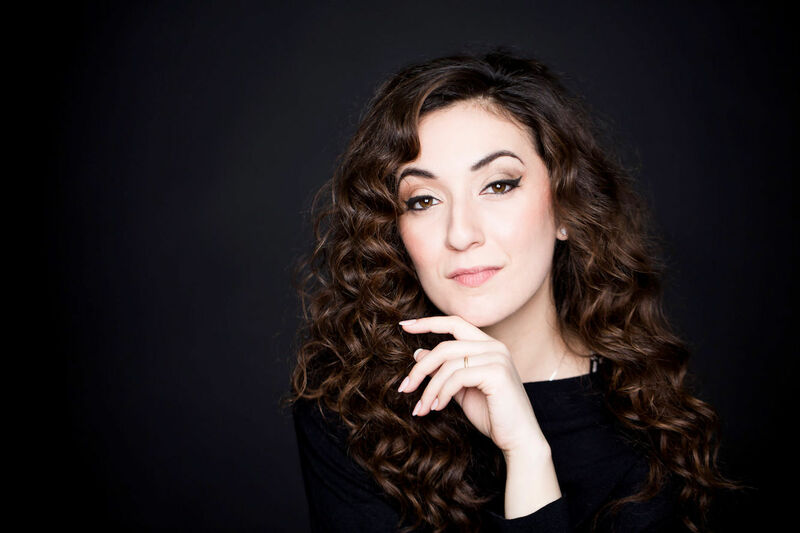 I’m a woman now – a young woman, but different from the young girl I was the first time I was lucky enough to sing Gilda (about 8 years ago) – and my idea of love has changed. Of course, my mentors, Mrs. Renata Scotto and Maestro Muti, have helped me learn a lot about this area and they know exactly the beauty of Verdi style and I will always thank them for their guidance. One thing I’ve always wondered about Gilda is how she manages to create those beautiful sounds after she has been stabbed and is lying in her father’s lap, dying. Do you sing those lines any differently than you do any other section? This sounds very strange, but I ‘like to die’. In that moment, the orchestra is pianissimo and I can really sing with a few voice on the breath. Musically, it is magic. If I played it realistically, I would act with a “suffered” voice, but as Verdi was very clear in what he wanted, we can understand that, like often it happens, she has the last flux of life before the last departing. It’s again the hope to save the father, the love, and the faith that gives her the last ethereal sounds. This sounds very strange, but I ‘like to die’. Tell us a bit about yourself: where did you grow up? What is your earliest musical memory? When did you decide you wanted to pursue opera? I grew up in San Nicola la Strada, Caserta, south of Italy. A very traditional, old style background with a big family. My parents introduced me to the music and encouraged me to start studying it seriously. My earliest musical memory is my mum singing the Queen of the Night during the housekeeping! I didn’t decide to be an opera singer – opera chose me! Your repertoire consists of some of my favorite roles: Elvira, Pamina, Susanna, Musetta, and of course Gilda. Of these five, which character fits you best emotionally? How about vocally? I would say Gilda is the best combination of my emotions and voice. But I also love singing Elvira a lot! What is one opera you think is overrated? What about one that is underrated? More than an opera, I think that some traditions are overrated. For example, the mad scene of Lucia di Lammermoor. The Pearl Fishers might be an underrated opera; I was completely in love with it when I studied the score three years ago. When you’re not traveling the world, performing in great opera houses, how do you like to spend your time? Where could we find you on an off night? I love to cook. I’m a very good pizza maker! I also love spending time with family and friends. You have a very active concert life, in addition to your opera work. How does performing in concert differ from performing in a staged production emotionally and physically? Personally, I think that a concert is physically easier because it takes a shorter period of time. They are always very, very busy nights, of course, but only for a few days. On the other side, an opera requires a lot of time and work not only for the music but also for acting. My emotions in a concert are focused only on myself. The emotions for an opera concern something more complicated: staging, costumes, interactions, conductor… You can never rest or give up! Considering your other engagements this season, is there one that you are particularly excited about? How does performing in a city like Chicago feel compared to performing somewhere in Italy or if not Italy, at least somewhere that is closer to home? Chicago welcomed me with such an enthusiasm that I was suddenly in love with the people and the city! I love the way that the audience expresses feelings and I love the desire to simply enjoy music and opera. To be honest, I feel like home here! To finish up, I’d like to ask a question I ask everyone: what is it about opera that touches your soul? For me, it is absolutely the exchange of emotions with the audience and the empathy! And of course, the possibility to be whoever I want, forgetting to be Rosa and acting a lot! This way I get to live many lives! Next Post Opera by country – the 10 countries around the globe with the most opera!